Welcome to the Fire form request area. 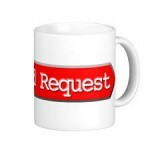 Please select the request form you need. Once it has been completed, it will be submitted to the appropriate Division personnel. Please allow 24 to 48 hours after your file your request for someone to contact you. Should you have questions in the intern you can contact the academy at 603-223-4200.